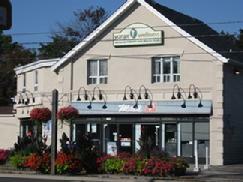 We are located at 7756 Yonge Street, 2nd Floor in the heart of Thornhill. We are very close to Markham and North York. At Yonge & Wellness we have 7 passionate, professional massage therapists, a very dedicated chiropractor, and an amazing nutritionist. We offer pre-natal yoga classes, infant massage workshops, and a small eco-friendly boutique with mostly Canadian products that are friendly to the earth and nice to have. Our onsite chiropractor also offers custom orthotics. Yonge & Wellness is open 6 days per week and some Sundays. We have an online booking calendar so it is super convenient to book an appointment right now. Each practitioner has an outline of their specialties online at www.yongeandwellness.com. You can call us at 905-882-7685 to book an appointment with our reception.